Official artwork of Hong Kong Art Basel, HK, 2o13. A spontaneous and highly personal work, this set of four envelopes was originally a gift from a friend in England. When HUNG Keung opened these four envelopes, he found out that they were completely empty and that had brought him back a sea of emotions. Two of the artist’s most important relationships both flourished and ended in the United Kingdom, one of which was a decade ago, and one only recently ended. At the end of the latter relationship, Hung Keung was working on the Dao x Microcosmic Play and Appreciation (2013) project for Art Basel in Hong Kong that required concentration, logical and rational thinking and crystal clear judgments for its completion. The artist, however, was detoured and shaken by the past memories. He understood that these emotions had to be let out before continuing with the project. As a result, he created a transitional Chinese landscape painting with ink and 3D models, all of which were materials that could be found easily in his studio. 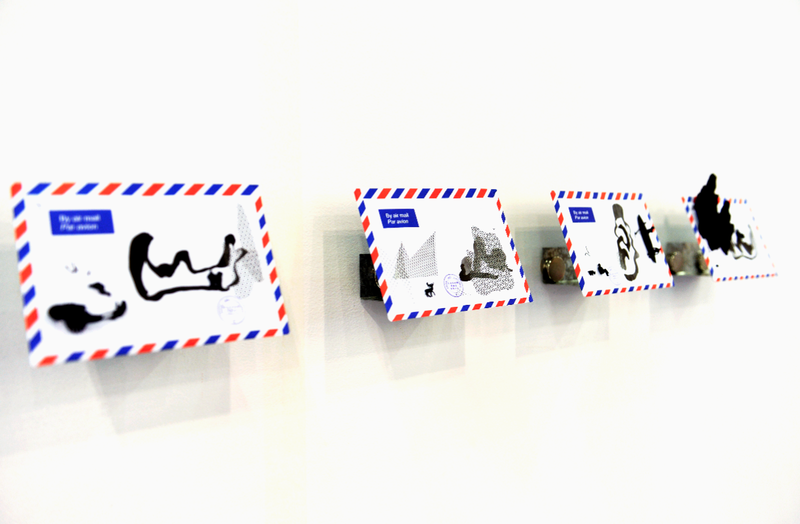 The landscape on the envelopes represents solitude and loneliness, a mentality that was personal to the artist instead of highlighting the general mentality of a Chinese scholar. The artist finished making the envelopes bit-by-bit everyday according to his emotions and mood on the day, and bit-by-bit through these envelops, the artist relieved his emotions. The creation of these envelopes was a slow but smooth process, and when he was done with this project, his heart was lightened. He regained the strength and energy to resume his focus on the Dao x Microcosmic Play and Appreciation project.